Our next training session is coming up soon! 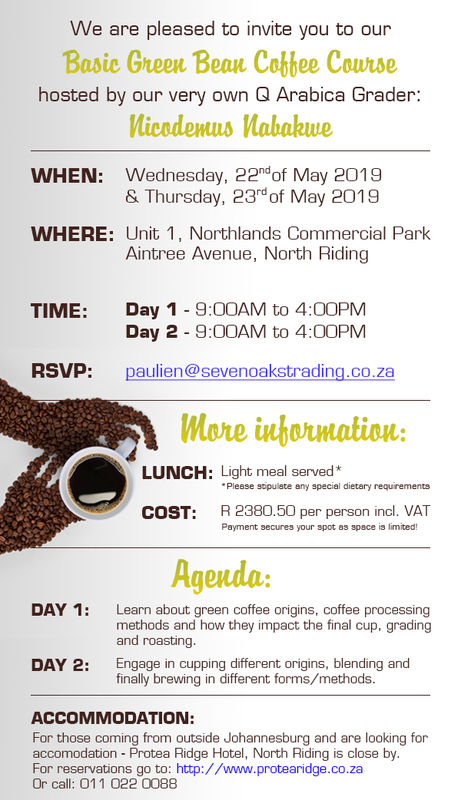 Sevenoaks in partnership with Mr Jeremy Wakeford would like to inform you that we will be hosting our next start-up and advanced training sessions as from the 17th – 27th of June 2014. The start-up training session will be hosted on the 17th – 18 and 19 – 20th of June 2014 from 08:30 – 16:00 pm. The Advanced training session will be hosted as on the 23rd – 24th and 26 - 27th of June 2014 from 08:30 – 16:00 pm. Different processing methods, for example “Honey processed”. Social Certifications and what they stand for. Decaffeinated Coffee – the different processes and effect on the coffee taste. Countries that have recently developed a coffee culture. New developments/projects that Jeremy is involved in. 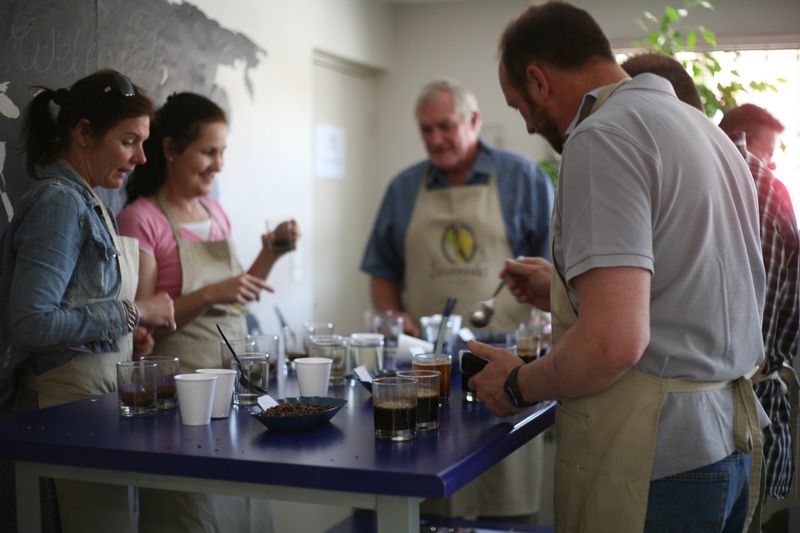 Cupping – we are putting together quite a selection of coffees to cup. It will include coffee stocked by Sevenoaks as well as some other/different/special coffees that you normally wouldn't have access to. NB! Those who have attended previous training sessions with Jeremy will receive first preference for the Advanced course. Kindly inform us if you would like to attend, as we would love for you to be part of the training experience.